It seems everybody’s got a domain name these days, whether they use it or not. But you’re different. You’re ready to start a business, and you’re ready to get serious about making it a success. And you know that, in today’s business environment, the internet is a vital tool that you can’t overlook. In fact, it will be an integral and fundamental component to growing your brand, and that’s why choosing a great domain name is so important. There are so many things to consider when selecting a domain name. You want it to be memorable and recognizable. You want it to stick in people’s heads, and you need it to remind them of your product. SEO experts recommend certain strategies to consider when choosing a domain name. 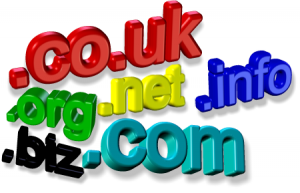 So just how should you go about choosing the right domain name? What are the factors that go into the decision? One of the biggest concerns people have when registering a new domain name is if it should contain key words related to their product, or if they should come up with something totally fresh. The reason for the concern is that they don’t want their domain to get lost in page rankings, and key words can be a factor in search engines deciding how far up your website climbs in the ranks. Choosing between using your product’s name or key words relating to it, or going with something totally new get can a little dicey, as there are advantages and disadvantages to both. For instance, let’s say your product is warts. You have tons of warts for sale, in all different shapes and sizes, and you really think your warts are the best. Now that you’re ready to start marketing your warts, you’re going to start a domain name. But what’s the best one? Should you put the word ‘wart’ in the domain name? After all, if people are looking for warts, your domain might get lost if it doesn’t include ‘wart’ somewhere. Of course, a ton of very successful business owners have come up with totally original domains that have absolutely nothing to do with what they’re selling. Google, Twitter, and Tumblr are great examples of domains that really don’t mean anything, except that almost everyone on the planet now recognizes them simply due to their success. Their names are immensely brandable because they are associated solely with the businesses they represent. In fact, in some cases, just like in the past with companies like Xerox, the domain name has become so brandable; it’s now used as a verb that’s synonymous with an action performed. Google is an excellent example of this. According to Matt Cutts, head of the Web spam team at Google, using keywords in your domain name doesn’t necessarily give you the leg up you might think it would. If you’re selling warts and there are a hundred other sites selling warts, yours could easily get lost in the shuffle. Of course, on the key word side, if you’re referring to the name of the business, you could link to it, and you might link to it with the same words that are in the business name. A concern might be that search engines give more weight to key word domains. If this is what you’re thinking, Cutts reports that, for anyone concerned that Google is giving more weight to key word domains, Google is taking this concern into consideration with its algorithms and adjusting for it. There are some things you should probably try to avoid when choosing a domain name. Here are some things to take into consideration that could negatively affect page rankings and traffic. Obviously, you want as many people to visit your site as possible, and you want your page rankings as high as they can get. So, you’re selling warts and you’ve decided to put the word ‘wart’ in the domain name. Pretty much everybody knows how to spell the word, but you’ve decided you want the key word in the domain but you want it to be a little unusual. So, you spell it ‘wartz.’ That might work, especially since a lot of products and businesses are putting a ‘z’ where an ‘s’ should be. However, if you really go whacky and spell it ‘waartz,’ you’re probably not going to have any traffic (unless someone accidentally spells it wrong). You also don’t want your domain name to get too complicated. Try to keep it as short and sweet as possible. If your business name is long … Your One-Stop Shop for All Your Wart Needs … you might want to shorten it to just, shopforwarts.com (provided it’s not already taken). By the same token, hyphens can make things a little messy, especially in the domain name game. People can forget to put in the hyphen when looking up your domain, and that can cause them to spell your domain wrong in referrals. When choosing a domain name, you obviously have to consider your target audience, and that’s where choosing the right one can get tricky. However, when it comes right down to it, the best domain name for your business is the one that you believe will help make it successful. You are going to be synonymous with your domain name for as long as you own your business. If you don’t like it, then it’s out. Be sure to take into account the advantages and disadvantages of brandable names versus keywords and what to avoid.